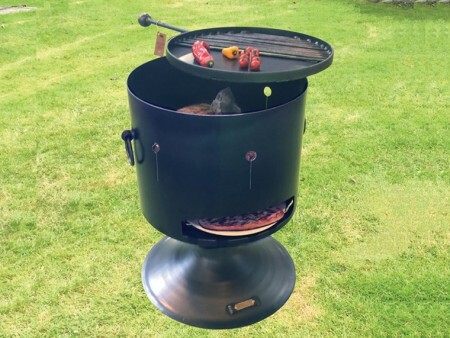 The Pizza Pit 50 has proven to be incredibly popular owing to its versatility in allowing pizzas and other food items to be cooked simultaneously. 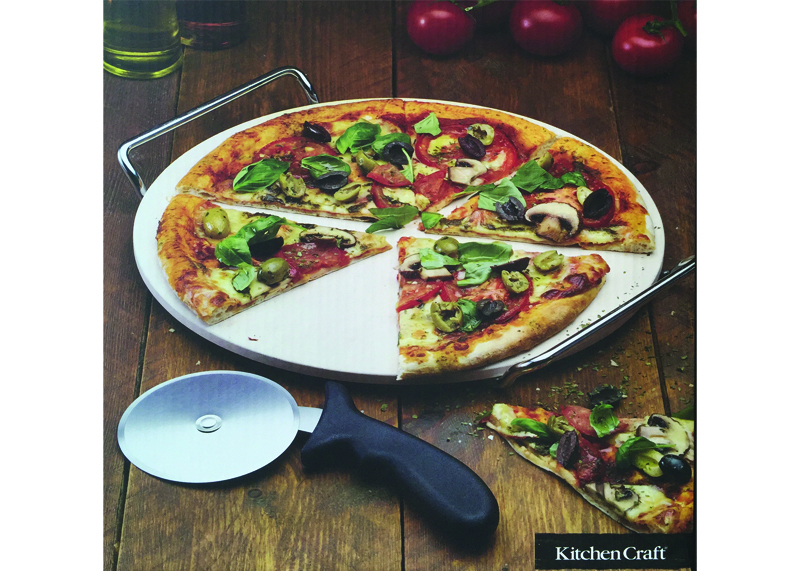 Complete with a lid and pizza stone and cutter as complimentary items to your purchase. 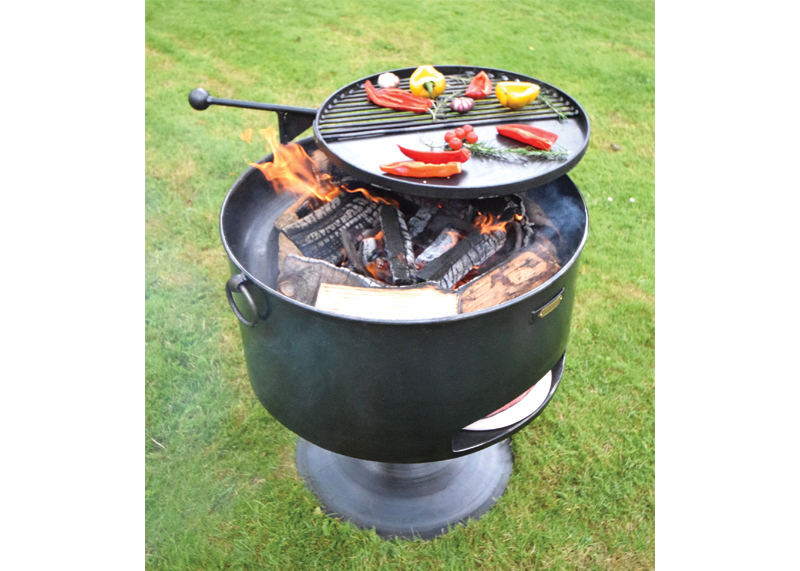 Before cooking, to allow for best results for the pizza oven, we would advise removing any leftover ash from the fire pit. Size: 50cms Diameter x 40cms Depth. Total height including stand approx. 76cms (pit only) or approx. 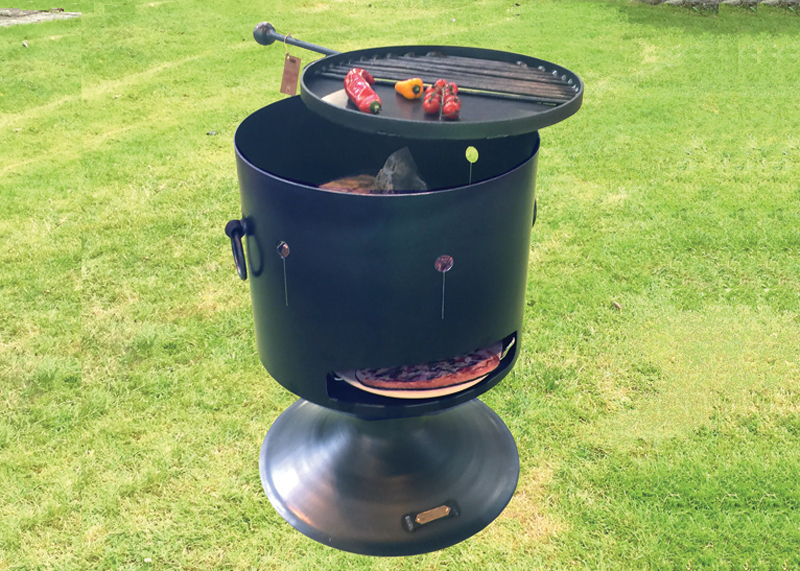 80cms with the Swing Arm BBQ Rack in place. Further accessories may be found in the Accessories section.